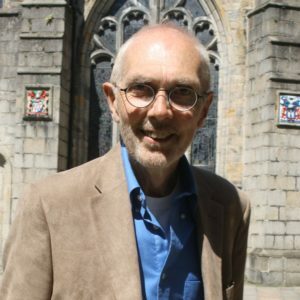 Geoff Palmer has been writing music for nearly 50 years, interspersing his activities as composer with a wide range of other activities – professional cellist, university lecturer in music, school teacher, gliding instructor, biological research technician – even driving buses for a time. But it is composing that is at the core of his being, and composing that he never stops thinking about. This website aims to introduce you to this work – to the music that has been written through his life so far, the music being written and the music projects being planned. It was very exciting collaborating with the soprano Frauke Jürgensen and the cellist Claire Babington in preparation for the European première of Unidentified Edges at the 2017 soundfestival in Aberdeen in November. I was so lucky to have such thoughtful and committed performers! The piece sets six poems by Anne Cluysenaar, which contrasted brilliantly with the Dowland songs also in the concert.. The concert also included a brand new song using text by Henry Vaughan taking the form of an elegy for Anne Cluysenaar, who died in tragic circumstances at the end of 2014. Audio clips from the concert will appear on this website shortly. If you can’t wait, click on MORE INFORMATION below to hear a clip from last summer’s performance in Toronto.